Floors will get dirty, everyone knows that. Kids have accidents—we have accidents—but reminders of them are just plain ugly. Make sure workers are sweeping, vacuuming, and mopping when needed, and frequently. 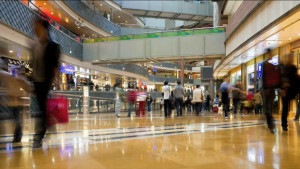 A professional retail cleaning crew can make hard surface floors look shiny and new. Depending on location and age, some stores can take on a musty smell. Dust, dirt, and traffic will contribute to these odors. Daily retail cleaning and odor neutralizers can prevent musty odors from reaching customers’ noses. Also, have employees eat meals in a designated break area, away from the showroom. Though it may seem like a minor inconvenience, a messy dressing room can be a major pet peeve. Customers shouldn’t have to weed through other shoppers’ selections just to get to their own. It only takes a few seconds to rid the area of hangers, tags and clothes before the next customer uses it. Last, but certainly not least, restrooms are not an area in which to slack on retail cleaning. They should always be cleaned and stocked daily. Clean bathrooms reflect the cleanliness of employees, and therefore the products being sold. Studies have shown that appearance matters—a lot. This can mean that the lower the quality of retail cleaning services, the fewer the customers. Jani-King can help your store attract new customers, and keep old ones coming back for more.